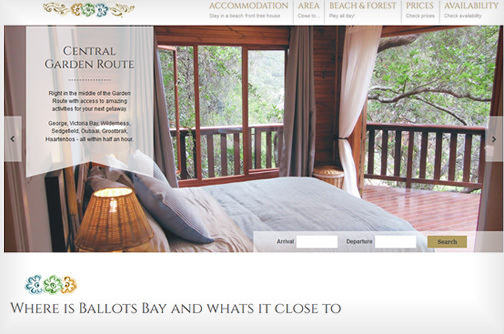 Ballots Bay - unique beach and private game reserve, self catering accomodation. 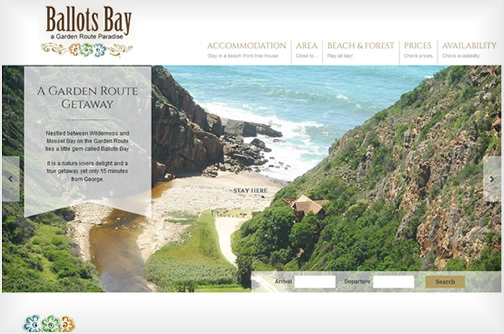 The Ballots Bay website showcases the most beautiful Garden Route location imaginable and integrates with the Nightsbridge live bookings calendar. 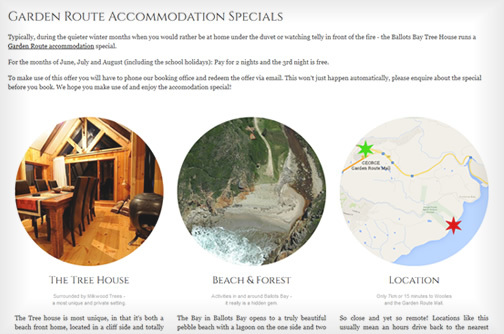 The pictures sell this dream holiday location! 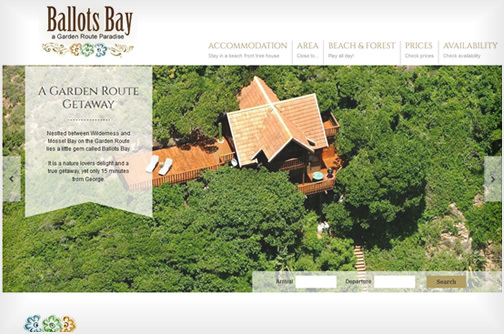 The website is absolutely beautiful - I'm sure it's going to do so well!